Only that communism threatens the freedom to be as corrupt & selfserving as you wish & unaccountable to the society in which you live. The dog eat dog lifestyle with devil may care delight. That is not to say that communism is not als corrupt. But to even speak the words, sharing & careing is a sin to a capitalist. Than you for your story. I am also an American transplant, now a Canadian citizen only (I renounced asap! ), who arrived shortly after you did and also with NO intention of ever returning to the USA to live (haven’t even visited down there in over 25 years). Canada is a wonderful country. 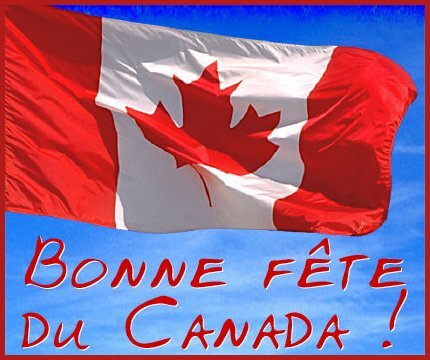 Despite all the bad things going on and that the whole world is headed for financial collapse – Happy Canada Day! Thank-you for a great story. This is the type of story that makes a person realize how well they have it in Canada. I had no idea America was already changing in 1967. The sad part is Canada is also making those shifts and becoming more American by the day. Happy Canada Day to all American Immigrants in Canada many of you brought the old values of a word that was once called Freedom and for that we Thank-you. Did you renounce or relinquish your U.S. citizenship? If not you are still a slave of the U.S.A./I.R.S. There are over a million of us in Canada whom the U.S. considers ‘U.S. Persons’ and the fact that the Harper Government signed the FACTA (Foreign Account Tax Compliance Act) with the U.S. Treasury/I.R.S last year means that we are now ‘second class citizens’ without Charter of Rights protections or Bank Secrecy provisions. Yes, ‘Happy Canada Day’ to yourself as well, but remember that Harper Canada has sold us down the river.